Even better if it only requires a glass of a certain delicious juice, right? Great news: a new study has proven this juice more effective than most blood pressure medications. Without a trace of side effects. Scientists from the University of Oslo and the Norwegian Institute of Food, Fisheries and Aquaculture Research have just discovered that berry juice has a significant blood pressure lowering effect. This is great news, as it is so delicious and sweet; it’s also free from unhealthy, refined sugar. 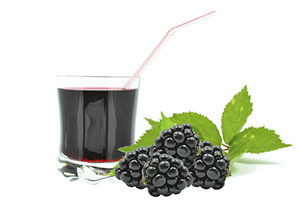 In the study, researchers split 134 volunteers into three groups: a control group that drank non-berry-juice (control group), a group that drank Polyphenol-rich berry juice, and a group that drank Polyphenol-rich berry juice combined with Polyphenol-rich blackberry juice for a much higher Polyphenol count. Each group had to drink 500 ml of the juice per day. •	After six weeks, the polyphenol juice drinkers had lost 6.9 more systolic points than the control group. •	After 12 weeks, the polyphenol juice drinkers had lost 3.4 systolic points more than the control group. •	While the polyphenol juice drinkers lost 6.4 points up to week six, they lost only 0.8 points between week six and week 12. There is a limit to the power of this juice, after all. •	There was no difference between the polyphenol juice drinkers and the extra high polyphenol juice drinkers. •	Compared to the subjects with normal blood pressure, those with high blood pressure experienced a much greater drop: 7.3 points more than the control group after six weeks, and 6.8 points more than the control group after 12 weeks. •	At both the six-week and the 12-week points, the scientists took three blood pressure measures, which showed that the variation between the three measures were smaller for the polyphenol juice drinkers than for the control group. If you want to duplicate this effect at home, the juices that worked well were normal commercial brands containing either red grapes, cherries, chokeberries or bilberries. If these are among your favorite juices, you are lucky. Since the juices also reduced blood pressure variations between three measures taken one minute apart, the authors concluded that polyphenols probably affected stress-related high blood pressure, rather than resting high blood pressure. This is good, however, as blood pressure spikes that come with stress often bring about the worst cardiovascular consequences like heart attacks and stroke. One thing to keep in mind, however, is that berry juice is very high in natural sugar and calories. This can be troublesome, especially if you’re watching your blood-sugar levels. It may, therefore, be better to eat the berries whole. This way you’re at least adding back in some beneficial fiber. Thanks for the info, now I will give it a try & hopefully it will work for me! This was very helpful. I am eating berries now. Let's see if this work…this will be a good news to everyone who suffers bp problem.